The URL for the new UK Soybean Cyst Nematode Website is www.uky.edu/SCN. Check it out! A new feature for the online version: the html is now printer-friendly. A pdf file was also created. The tool provides a general risk level for wheat in a given area. Once into the tool, identify what date you want to select (such as today). Then identify the wheat model (spring wheat or winter wheat). Finally, select the state in the map that applies. A color-coded map will appear with green being little risk, yellow being medium risk and red being high risk. This model can help when deciding to make a preventative fungicide application. 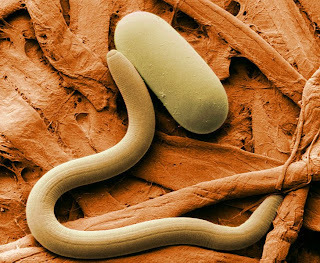 In order to successfully manage soybean cyst nematode (SCN), growers must become familiar with current trends for the pest, as well as have access to the best available management information. There is currently a tremendous amount of information available on the internet regarding SCN. In fact, there is so much information, that it is very difficult to know which information is the best and most useful. The purpose of the new University of Kentucky SCN website will not be to reinvent the wheel by adding more "stuff" on the web. Instead, we will be sorting through all that is currently available on the web, and posting only the best and most up-to-date information. In some cases links will take you to other websites, and in other cases we will give you publications that you can download. We will also post Kentucky-specific information and management recommendations. We are in the process of finalizing the website URL, but once that is established we will let you know, and you can begin using the website. The development costs for the website were paid for by the Kentucky Soybean Promotion Board, using your check-off dollars. So you have a Bt corn hybrid and the seed is treated with a systemic insecticide, do you need to worry about insect pests? Well, the answer is … probably not, but there are some pests and / or situations that can cause some problems. Getting a uniform plant stand with uniform vigor is one of the first steps to reaching the yield potential of a hybrid this year. In this article I’ll discuss a few unusual situations where our preventive controls may not always provide the level of control that is needed. 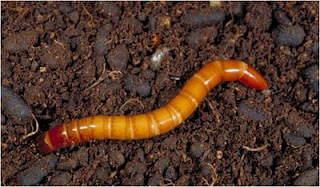 Early in the season we worry about uniform stand establishment and use seed treatments to protect against seedling losses to seedcorn maggot, white grubs, wireworms, and cutworms. The seed treatments do a fine job to protect seeds and seedlings in nearly all fields, but excessive pest levels, cold soils and slow germination, and some hybrids with weak vigor can contribute to increases losses to seedling pests. These problems are often associated with a history of problems in the same field in the previous year or two. As an example, we have seen serious stand losses to wireworms that required replanting when treated seed was used, but the field had a history of serious wireworm losses, was planted very early into cold soils (it took 21 days to spike through), and was a hybrid with low to moderate seedling vigor. Replanting with the same treated hybrid seed into warmer soils enabled rapid germination and growth provided an excellent stand. Seed treatments with higher levels of the insecticide active ingredient will provide higher levels of protection, and protection for longer periods of time, than that provided by the low rates. This year we are likely to have fewer fields planted very early due to the prolonged wet cool weather across much of the commonwealth, with a few growers feeling that there are getting corn planted later than usual. This is likely to potentials reduce risk with wireworms. While planting corn in mid to late April doesn’t increase risk to corn borers, plantings in May are at greater risk to both European and southwestern corn borers late in the season (second and third generations). Growers using Bt corn for corn borer control or stalk corn borer/rootworm hybrids should consider using these with their later plantings. Growers not using Bt hybrids will need to scout their fields to monitor for corn borer larvae feeding in whorls, leaf axils, and leaf midribs beginning mid July. Foliar treatments for corn borers are only effective when applied before the larvae begin to tunnel into the stalk. 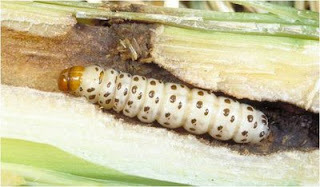 Generally, the larvae will begin stalk tunneling when they reach the 4th instar stage. Syngenta recently had a new Bt technology approved by the EPA (although USDA approval is still pending) for its VIP3A (vegetative insecticide protein for Bacillus thuringiensis). This will target several Lepidopteran insect pests of corn. In the 2008 Farm Bill the United States Department of Agriculture (USDA) released a new provision called Average Crop Revenue Election (ACRE) program. Beginning with the 2009 crop yearproducers will have the choice, before or on August 14, whether or not to enroll in the ACRE program. Selecting to participate is made by farm number (hereafter referred to as a “farm”) and everyone involved (i.e., tenant, landlord, etc. ) must agree to sign up. Participating in ACRE will result in reducing direct payments by 20 percent, marketing loan rates by 30 percent, and forgoing any counter-cyclical program payments. When a farm elects to participate in ACRE that farm will be required to continue in the ACRE program over the life of the 2008 Farm Bill (2009-2012). Additionally, any farm not involved in ACRE can elect to participate for the following crop year at any time over the life of the 2008 Farm Bill. By enrolling a farm into ACRE the producer enrolls all eligible crops on that farm in ACRE. The USDA will not make any ACRE payments before the end of the crop year. To sign up in ACRE producers must elect ACRE then annually enroll in ACRE. Electing to participate but not enrolling results in forgoing any ACRE payments. The timing of ACRE payments will be made beginning October 1 or as soon as possible after end of marketing year. Freezing temperatures occured April 7, 2009 across parts of Kentucky. More freezing temperatures are expected tonight. Wheat in many fields is close to jointing, if not slightly past. Temperatures need to approach 24 degrees F or less before severe damage occurs on wheat that is jointed. 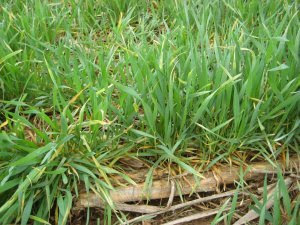 After about five to seven days of good growing conditions, we will have a much better idea of how the wheat survived. However, based on most reported night temperatures, we suspect that most of the wheat will have some leaf damage but no severe damage to yield potential. There has been some interest in creating a blog as another means of getting timely information to county extension agents, producers, field scouts, agribusiness personnel and others that have an interest in grain crops production in Kentucky. Farmers are still getting spring fertilizer applied, spraying burndown herbicides and planting corn where field conditions and weather permit. Markets are fluctuating and will influence the total acres of corn and soybean planted for 2009. Perhaps this blog will help deliver timely information on crop management, crommodity marketing, etc.